Dyslexia made me feel as if I was drowning in the classroom. Competitive swimming was my lifeline. 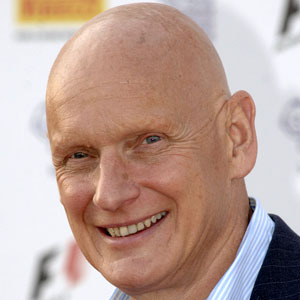 Duncan Goodhew is a British swimmer and sport advocate who medalled at the 1980 Moscow Olympics. When I was 10 years old I’d lost my hair after a childhood accident. Often dyslexia had made me feel that I had STUPID in neon light flashing on my forehead. And then my hair fell out so people stared at me because I was so young and bald. Now in 13 strokes, 13 short seconds – perhaps I would be stared at for a different reason – for being an Olympic gold winner. When we talked to Joseph about trying out the Davis program, he was very excited, as he told us that the way they are trying to teach me at school doesn’t work. They keep trying the same things at school and it’s not working. Then when he went through the program we could see a change in him immediately, we could see his confidence level increasing, he was gaining skills and tools to help him with his dyslexia and in life in general.